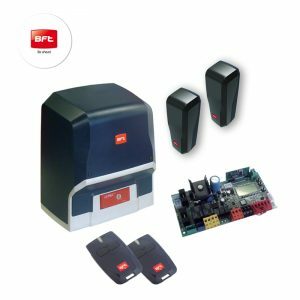 The BFT ICARO SMART AC A2000 sliding gate motor is a commercially graded operator which can be used consistently throughout the day. The BFT ICARO motor is a commercially graded gate operator which can easily handle consistent use and very large gate leaf widths of up to 15m. 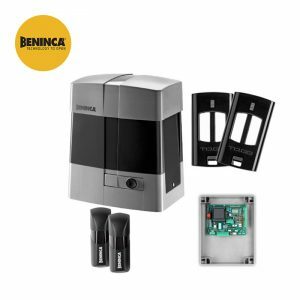 This sliding electric gate kit can be used on either metal or wooden gates, even in wind affected areas. With built in limits by way of an encoder and locking also integrated, this kit eliminates the necessity for costly additions. Even though this is a 230v motor it still incorporates the D-Track system which is an exclusive torque control system from BFT. D-Track gives complete control over the safety, in total conformity with binding European standards.